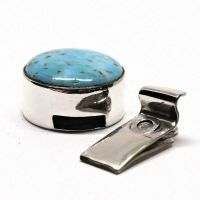 Anytime I see vintage Murano glass I can't resist buying it. 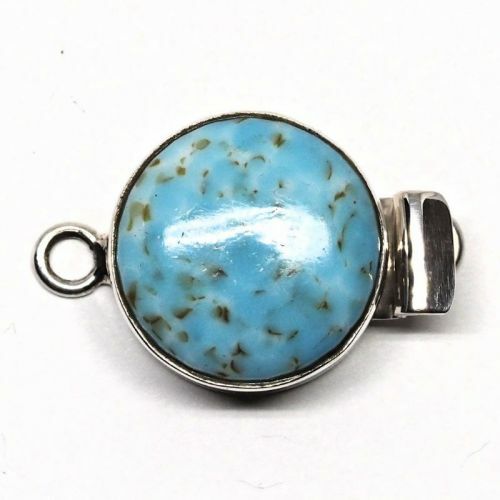 This piece is a delicate turquoise color with flashes of gold foil. 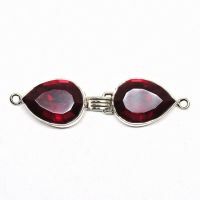 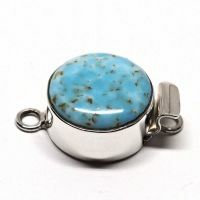 The centerpiece is 12 mm round and is set in a hand made sterling silver box clasp. 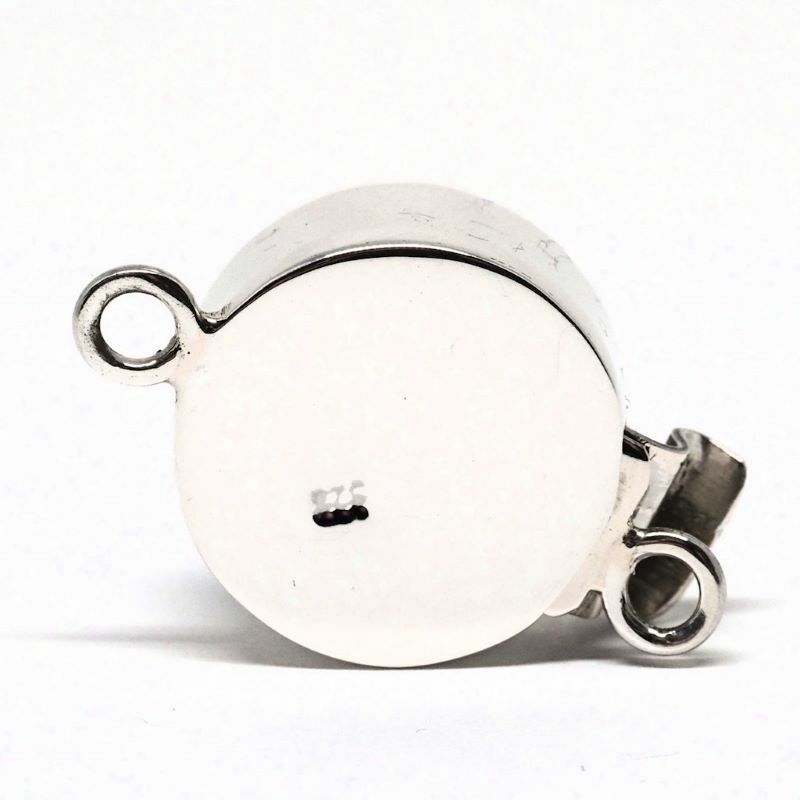 The clasp is 27 mm from ring to ring.